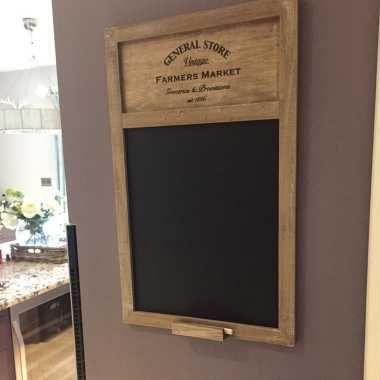 A fantastic addition to any farmhouse kitchen, this General Store Blackboard is useful for writing reminders such as shopping lists or appointments. 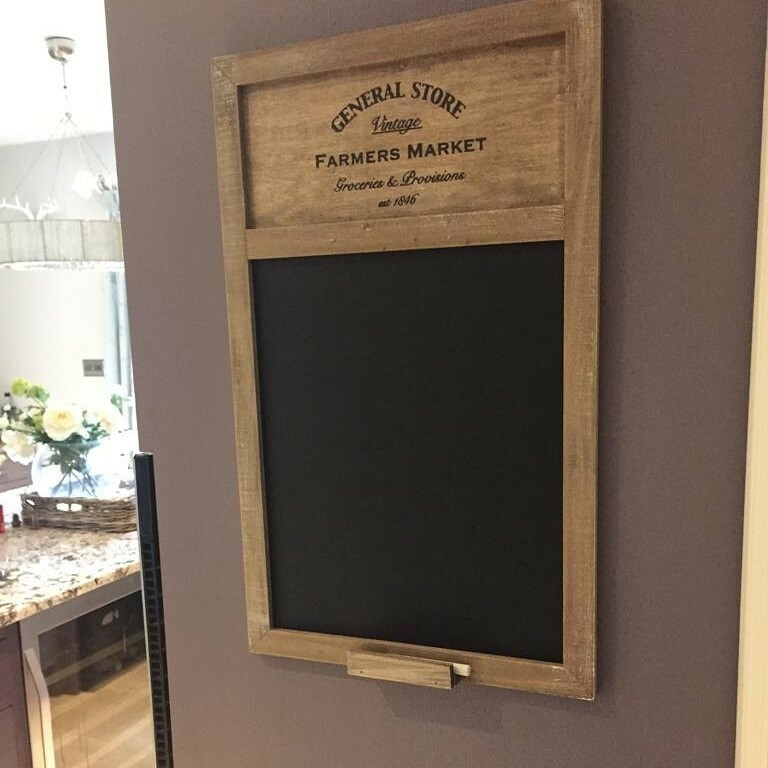 Complete with a useful shelf to hold chalk (not included). 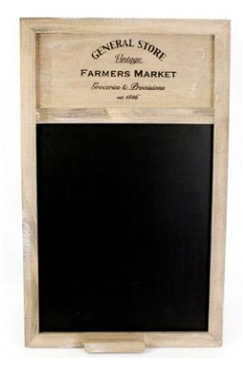 Measures approximately 34cm W x 55.5cm.